The Notre Dame d’Orval Monastery dates back to the year 1070 AD is one of only eleven Trappist monasteries in the world that brew beer. Through the years the monastery is said to have brewed beers in some capacity within its walls. But it wasn’t until 1931 that the monastery finally had an actual brewery. This was the year when Orval Trappist Ale was born. This popular Belgian beer is only available in distinctive skittle-shaped 11.2 oz bottles. At 6.9% ABV, Orval is known for its use of Brettanomyces that gives this amber-orange hued beer its distinctive flavor. Orval is delicious when it leaves the brewery, but also evolves in the bottle for five years or more. 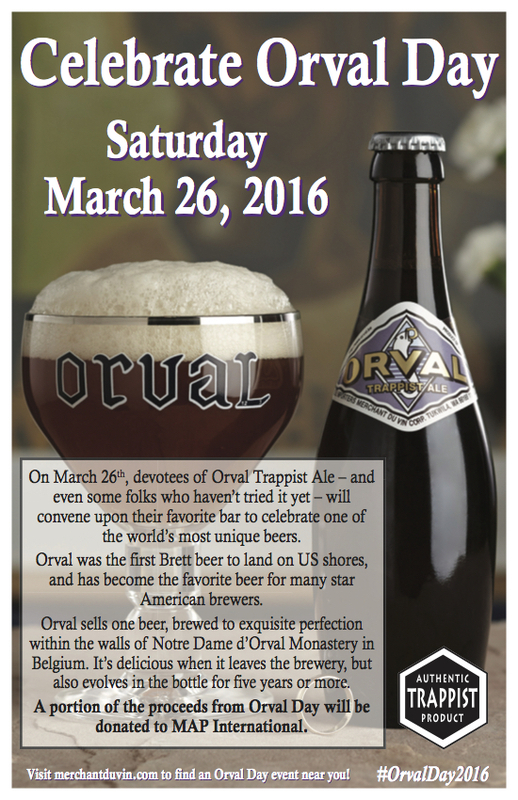 On Saturday, March 26th, Merchant du Vin, importers of Orval Trappist Ale will be celebrating this much beloved Belgian beer. At many of the top beer bars across the country Orval Day will be a celebration devoted to the first beer using Brettanomyces to be sold within the United States. 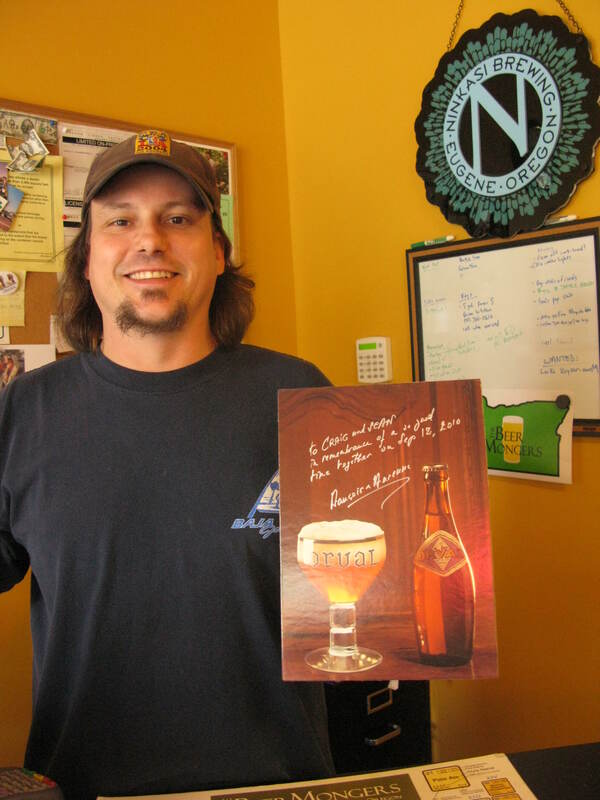 A portion of the proceeds from Orval Day will be donated to MAP International. Use the hashtag #OrvalDay2016 when celebrating on Saturday. Here’s a list of participating beer bars throughout the Pacific Northwest. In other Merchant du Vin news, tonight, March 21, Gustav’s in Vancouver, Washington will host an Ayinger Bier Dinner. The dinner begins at 6:00pm. Gustav’s is located at 1705 SE 164th Ave. and their number is (360) 883-0222.